Your China adventure starts HERE. Whether you’re just passing through or settling down for year, this is where you’ll find the latest information about the best cities in China. Culture shock is complicated. Moving to another country long-term affects people differently. I’m no expert on Culture Shock, but I’m happy to share my experiences trying to stay sane while experiencing culture shock in China. Everyone experiences culture shock differently, but it does affect everyone. The model below shows one of the simpler illustrations of culture shock. It shows four phases that travellers or expats go through when visiting- or moving to another country. The four stages are called honeymoon, negotiation, adjustment, and adaptation. We first experience the honeymoon phase when we visit another country. Everything is new, exciting, and interesting even though we can’t communicate with the locals. Little setbacks such as getting lost, or not finding what you needed from the supermarket, you shrug off as being on an adventure. Also sometimes called positive culture shock and this is why we like travelling. When we visit a new country or place, we experience this feeling, falling in love with the language, culture, food, and history. When the second phase, the depression, sets in, this is what most people refer to as culture shock. You’ve been in the same place a while, and you’re no longer on an adventure, now it’s everyday life. You notice you can’t communicate efficiently, find what you need to buy, or order food at a restaurant without help, this leads to feeling powerless and dependent. The locals act differently than what you’re familiar with, and you start missing home and your family. It’s natural to feel sad, irritated or depressed and it’s important to have someone to talk to and lean on for support at this stage. Stay in touch with friends and family, keep a positive outlook. Some make it through this stage very quickly, but others need more time to adjust. Everything improves when you reach the adjustment stage. You begin to overcome your depression and learn why you’re experiencing these emotions. You learn more about the people around you, the customs, traditions, and how to interact with your surroundings. Your view of your new home changes and starts to make sense. You’re on the right path, already further than many who go through culture shock. It becomes easier to take care of yourself, you learn the language and get into a routine of working, playing, socialising, and relaxing by yourself and your newfound social circle. Finally, you’ll experience the adaptation stage. Also known as the acceptance stage, you feel that your horizon has broadened, you’ve become more open-minded and more tolerant of what bothered you before. Your more proficient in the language, you’ve made local friends, and you’re starting to make sense of everything. Life is more comfortable and normal and although you might not reach the same high as the honeymoon stage, you’ll feel like you belong. Traditionally, culture shocks ends with the adaptation stage but I think it’s also important to consider how you feel going home after spending years abroad. When you return home you can experience reverse culture shock, having to get used to your old surroundings all over again. Reverse culture shock is not as prevalent as culture shock but it remains somewhat common. Culture shock isn’t a disease and it is not the same as a depression. You should never be afraid to talk about culture shock. Admitting you’re experiencing it, sharing with friends and relatives and other expats are the first steps of dealing with it and getting through it. Around eight years ago, I found myself sitting in front of my computer, experiencing a broad range of emotions. On the screen in front of me, was a “thank you” note, confirming my application for a teaching internship in China. This program eventually leads to where I am now, living and working in China, making this my chosen career. I was 21 years old, scared to leave everything behind but excited about what my new like might be. I was hopeful of what the future might bring, but doubtful if I would be able to pull it off. I was proud that I made such a dramatic decision but remorseful that I didn’t include my family more in the process. Nonetheless, I called my family to tell them the good news. I remember my mom being emotional and my father’s resistance. But they understood this was something I needed to do, and they even lent me the money I needed to pay the program fee. They were worried because China is so far from Denmark, and so different. They couldn’t fathom their son living so far away, let alone imagine how I could get used to living there. The image Western people have of China is distorted, and coming to China is vastly different from anything you think you know from movies and the news. Before making this decision, I had just returned from my first overseas trip alone. I spent two weeks in Shanghai, looking for a university to study at, but ended up spending most of my time just touring around. I experienced the kindness of the people, the great food, amazing architecture, and stunning views. I had always known I was a big-city person, even though I’d only ever lived in smaller towns, and I fell in love with Shanghai in a matter of hours. My camera was glued to my face, and I still go back to revisit my photos to relive my memories of my first visit. For those two weeks, I was euphoric; everything was new and exciting, and I loved every second. Traveling to a new place, be it on business or holiday, makes us feel excited. I have traveled to a lot of locations in the past, and the feeling is always the same. But, that feeling of excitement is just a fraction of the emotional rollercoaster you go through when you visit another country. Your holiday is typically not long enough, for you to experience the rest of the ride. Being on vacation for one, two, or even three weeks, you only feel the newness. When you get lost, you see a chance to explore, and when your food tastes funny you just photograph it, post it on Facebook with a comment and quickly order something else. You’re only experiencing what is commonly known as the “honeymoon” phase of culture shock, something you are likely to face if you move to a new country for an expected period. Knowing about culture shock and how to deal with it, can significantly improve your experience of living abroad. 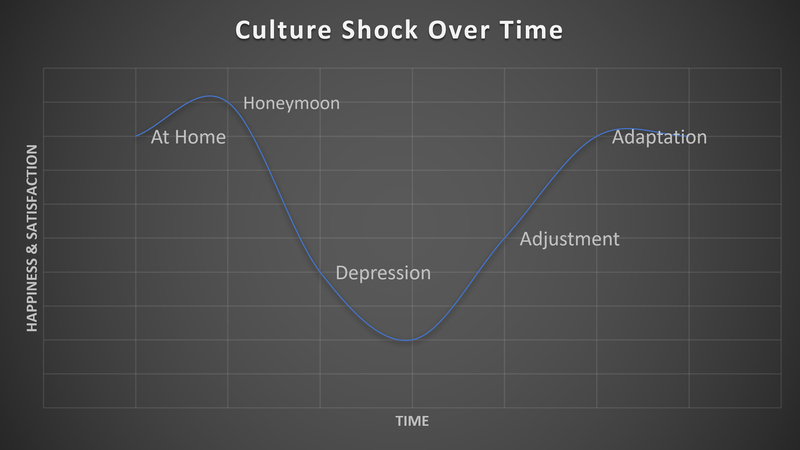 Culture shock happens in four distinct phases known as “honeymoon”, “depression”, “adjustment” and “adaptation”. Each step, its length, and impact vary from person to person. The honeymoon period is what you experience in the beginning when you first arrive in a new country. Everything is new, the language is interesting, the habits of the locals, and the food will almost get you high. But when the honeymoon ends, reality starts to set in, and you start feeling depressed with your surroundings. The language barrier, traffic, safety, difficulty of doing things without assistance, and missing home are all very prominent feelings. The second phase is usually the hardest, and it can last anywhere from 3-9 months. This is the stage that makes some people return home. But once you make it past this stage, comes the adjustment. Here, you will start to grow accustomed to what is going on around you, you develop a routine, you start learning the language, and you can support yourself. You develop skills to deal with everyday problems, and adverse reactions to the culture around you lessen. Finally, adaptation sets in and you begin to take control of your surroundings. You participate in social events, you make close friends, you learn to accept the new culture, and you become somewhat bicultural. Now, living in the country is, in many ways, similar to living at home. You’re no longer bothered with the new culture, but start to embrace it. 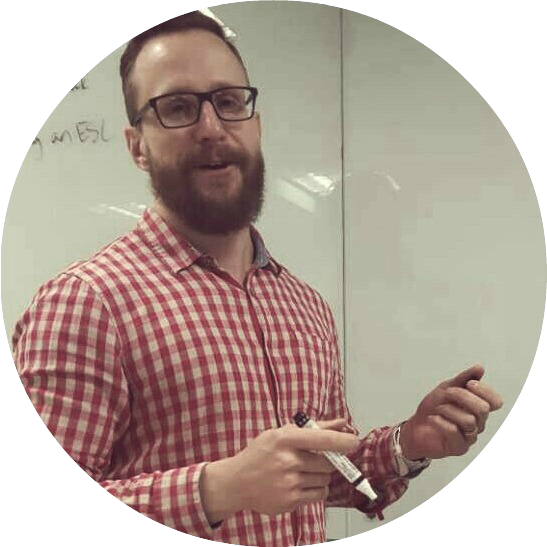 In the following articles, I’ll talk about each of the stages I experienced, and I will touch on how you can overcome each of the stages of culture shock while living in China.